Situated in the vibrant and historic neighborhood of Melrose, TN, the Melrose Apartments have something for everyone. Well-appointed living, community complex, affordable rent, and 603 square feet of living space, it’s a match made in honky-tonk heaven. Our A1 unit starts with, stainless-steel appliances, upgraded flooring, granite countertops, hardwood floors, and solid wood cabinetry. Pair that with walk-in closets, washer and dryers, garden tubs and a flexible pet policy and you have your new home. The Melrose is anything but ordinary. With many onsite amenities, you need not go far to find something to do. If relaxing by the pool is your thing, then pull up a chaise chair and recline by our saltwater pool. We also have lit courtyards, and outdoor grills in a safe, gated community. If you have a more active lifestyle then our 24-hour fitness center with a dedicated fitness concierge and bike racks. At the Melrose, you will also have a resident’s movie screening lounge, clubroom for entertaining friends and family, and a music performance space, this is Nashville after all. The A1, one-bedroom apartment at the Melrose Apartments is move-in ready and has plenty to offer in the way of conveniences, amenities and luxury living. Built in a 1940’s era movie theater complex, the Melrose has a great vibe that is enhanced by our many neighborhood partners. Siema, Fenwick’s 300 and The Sutler Saloon are located in the complex as well. With our convenient location close to the 440 Parkway and I-85, makes the rest of Nashville is close at hand. Vanderbilt University is less than 3 miles door to door, so really, this the perfect location for students, faculty or Commodores fans. Give us a call today at (615) 696-7448 and set up an appointment. 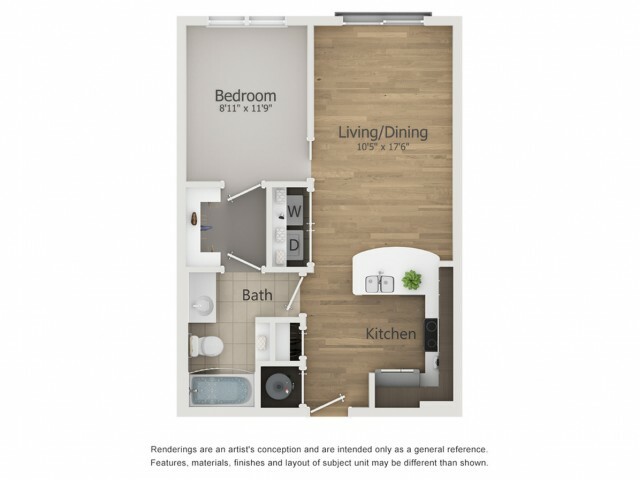 The A1 one-bedroom apartment at the Melrose is a great option for anyone seeking a comfortable living space, favorable onsite amenities with an opportune location. Don’t wait, call today.